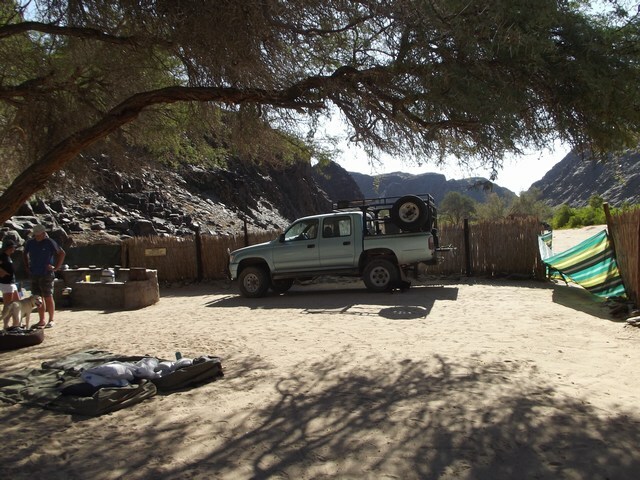 Ugab Base Camp is situated along the south bank of the mighty Ugab River, within site of the Brandberg Mountain, Namibia’s highes t mountain. 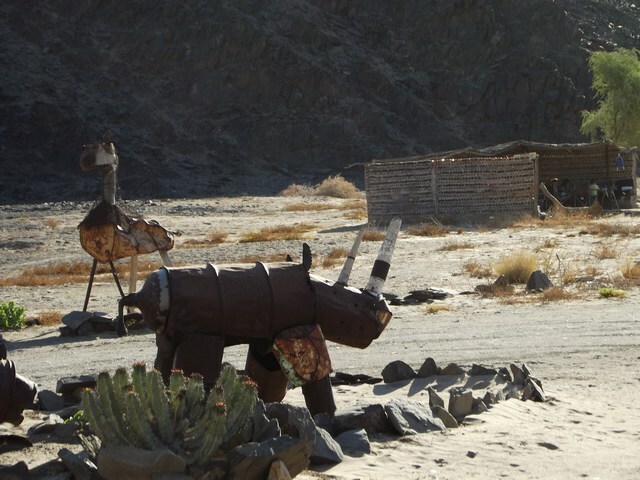 Ugab Base Camp also maintains a small education centre for passing tourists as well as a self-catering campground with showers and toilets. From Ugab Base Camp, SRT trackers access rhinos in the southern portion of their Kunene range including the elusive handful ranging across Doro !Nawas, Twyfelfontein-Uibasen, Sorris Sorris and Tsiseb Conservancies. Bernd and Erica Brell, SRT’s Directors of Monitoring and Patrols and Administration & Accounting, respectively, call Ugab Base Camp home while in the field. Save the Rhino Trust is a non-profit organisation (Welfare Organisation No 53) and the camping fees we receive are effectively a donation towards the Trust. • The campsite is remote and rustic - 4 x 4 needed to get there. • There is no entrance fee. 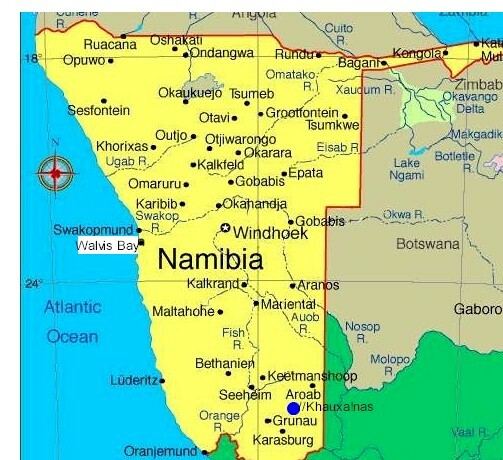 • Distance from Swakopmund to Campsite: approx 214 km. 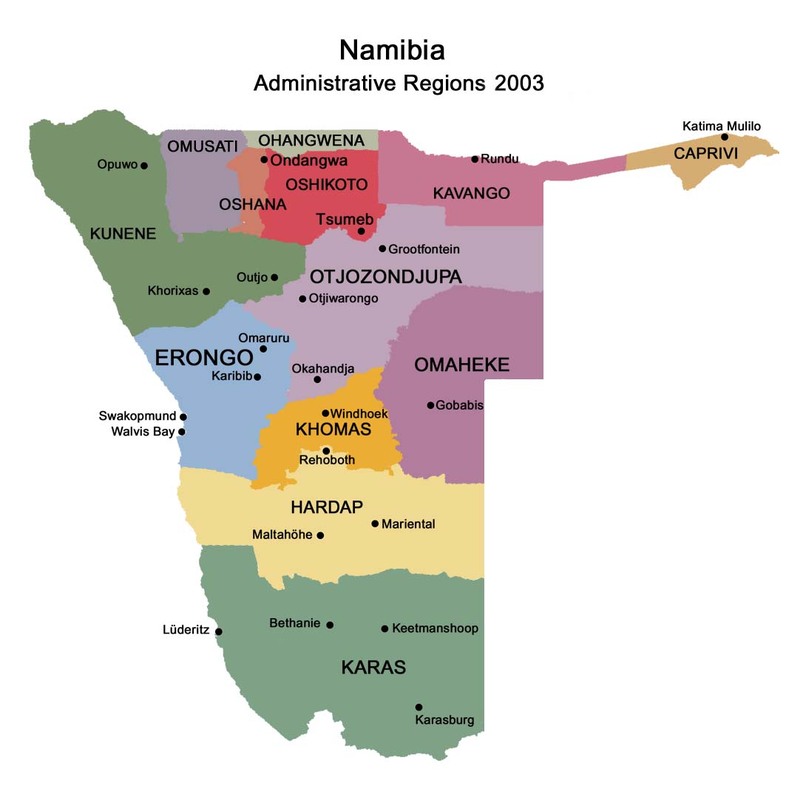 • Directions from Swakopmund: On the C34 travel 67 km to Henties Bay, then a further 46 km to the Cape Cross turnoff. Continue on the C34 for a further 30 km to the D2303 turnoff on right. 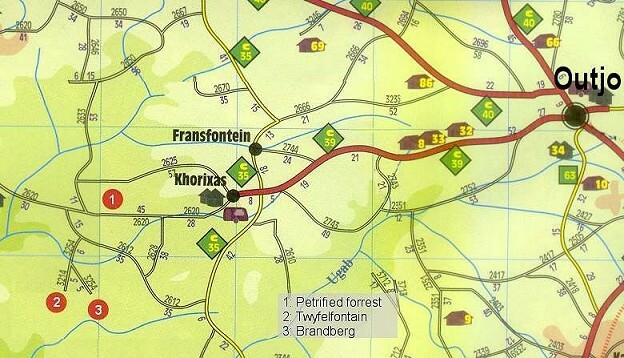 From the turnoff to the campsite is a further 71 km. • Directions from campsite to Uis: From the campsite, it's 10 km to the turnoff and another 116 km to Uis. • Campers must be self-sufficient with regard to camping equipment, food, drinking water and firewood (some people drink the water but it is brackish so most prefer to take their own bottled water). 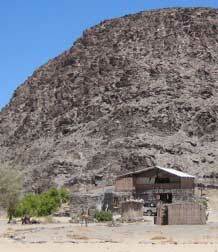 • No rhino tracking can be done from the Ugab River campsite. 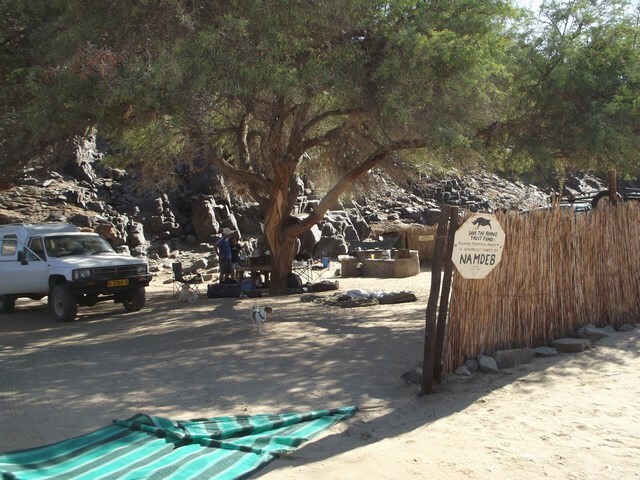 • The campsite has communal ablutions - showers heated by a "donkey" (lit by camp staff) and long drop toilets. • There is no cellphone reception at the campsite. 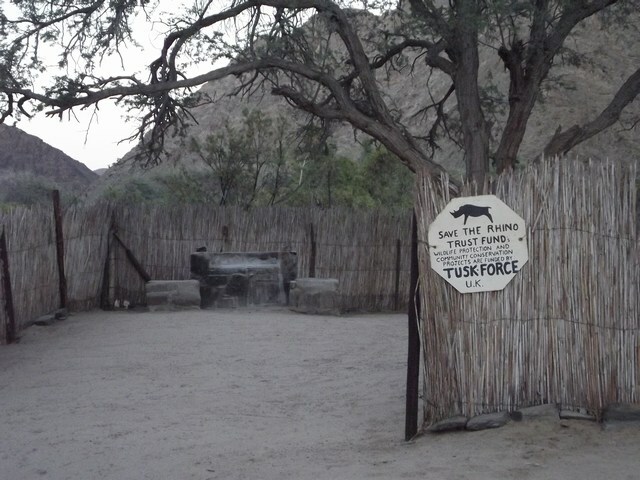 • There is an info centre with information displays about the area and the work of Save the Rhino Trust. • There is also a small shop selling SRT T shirts, peak caps and other curios. • Some sites are reed fenced off; others are not. 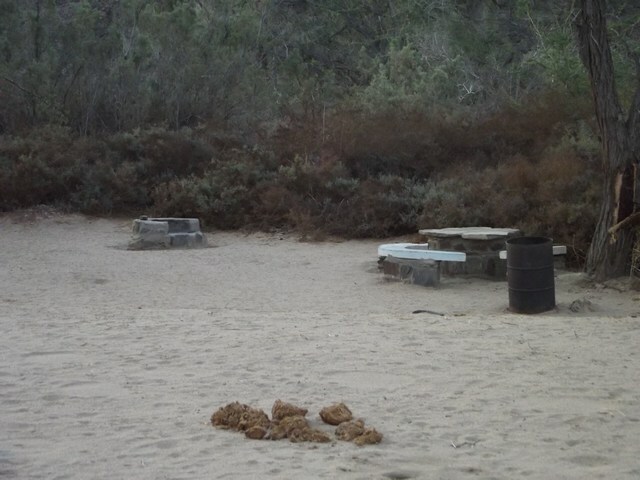 • Occasionally, elephant visit the campsite. • Tourists may be very lucky and see a black rhino from their vehicle.